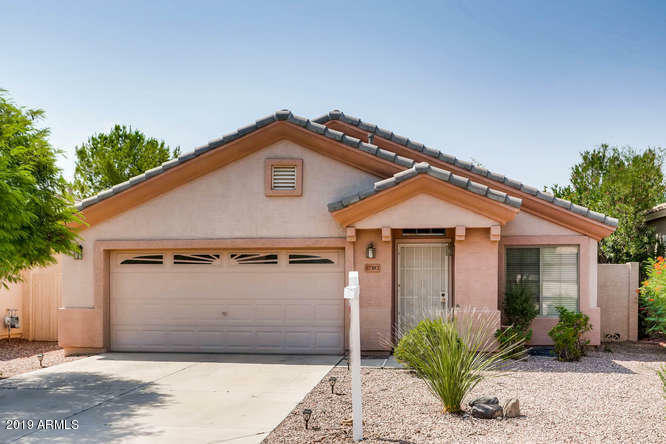 All GREYSTONE HERITAGE AT VEN homes currently listed for sale in Peoria as of 04/23/2019 are shown below. You can change the search criteria at any time by pressing the 'Change Search' button below. "Beautiful SINGLE STORY Ventana Lakes home in ADULT 55+ community. NEW flooring upon entry, open vaulted ceilings with area for formal dining. A bright and spacious eat-in kitchen for many memorable family gatherings, picture windows and large closets with lots of storage space. Fantastic SPLIT plan. Master bath has dual sinks and a large walk in shower. Relax and entertain in the private covered patio in a serene and quiet backyard with worry-free desert landscaping. This could be a winter visit"